Rajahmundry: Chief Minister N. Chandrababu Naidu made serious comments about Governor E.S.L. Narasimhan’s controversial behaviour. “The Governor is bringing all Opposition parties against the Telugu Desam, this has been reported in newspapers. It is not correct for a Governor to behave like this,” Mr Naidu said. He said that it was not correct for a Governor to behave in a partisan manner. 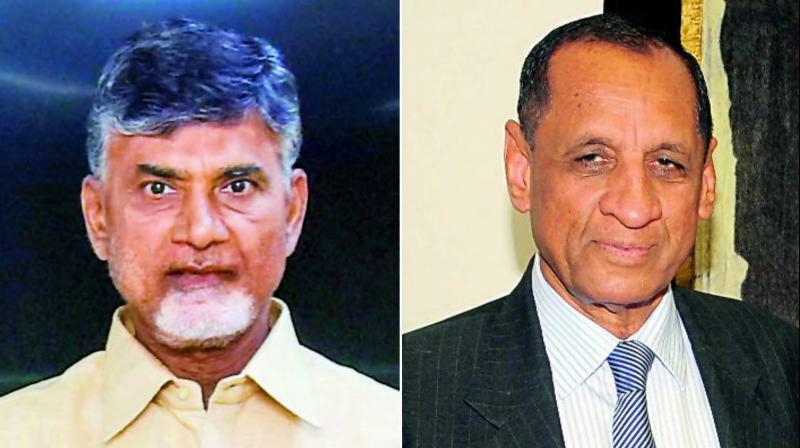 Mr Naidu’s comments against the Governor came after a two-hour discussion between them two days ago, after which the Governor left for Delhi to submit a report on AP affairs to Prime Minister Narendra Modi.